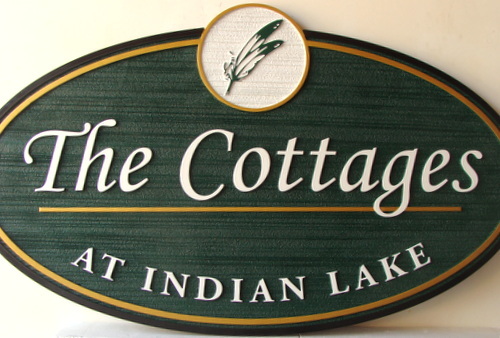 This elegant and beautiful dark green white and metallic gold painted HDU property name and address sign has been carved with our CNC router leaving elevated text, border and art, and then the green background has been sandblasted in a wood grain pattern. After hand-painting, this outdoor sign is clear-coated twice as extra protection against UV radiation and rain and snow. This address sign can be mounted on a wall or fence, on a post or between two posts, or hung from a wood or iron hanger.